This Race is unique in the fact that 100% of the net proceeds are allocated to our mission. 75 percent of the net income stays in our community to help fund local programs offering breast health education and breast cancer screening and treatment. 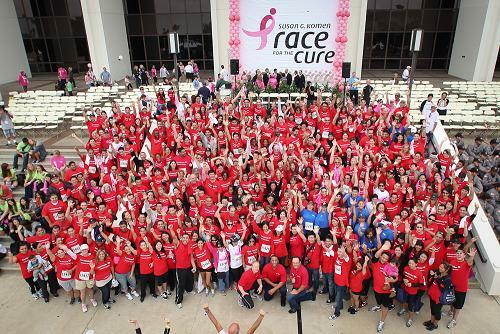 The remaining 25 percent of the net income supports the Susan G. Komen® National Research Program.